Business development information for the Wiarton Keppel Airport. Wiarton Keppel International Airport is owned and operated by the Township of Georgian Bluffs. The airport is Transport Canada certified facility and provides customs/port of entry service. Staff are eager to support development opportunities, with ample developable land. The airport is strategically located in Grey Bruce region within a two hour drive of the Kitchener-Waterloo Corridor and a three hour drive of the Greater Toronto Area, boasting a combined population of over 6.4 million. Our airport is capable of handling larger aircraft like Boeing 737, Gulfstream 650ER, and provides direct air connectivity to Grey Bruce region from major North American as well as European cities. The Air Service Survey is now complete. The results from over 2,300 surveys have been analyzed and the results are now available for public review. 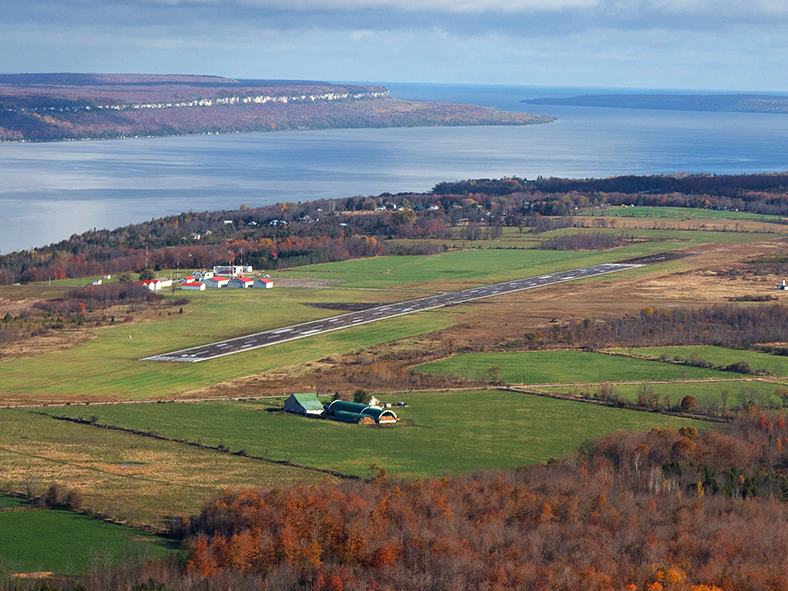 Located in the heart of Grey Bruce region, Wiarton Keppel International Airport is a prime location for your business. We have commercial and industrial land for lease, and have the necessary infrastructure to support your business needs. We offer highly attractive lease rates and are looking to build long term relationships with companies who wish to locate or expand their business at CYVV. 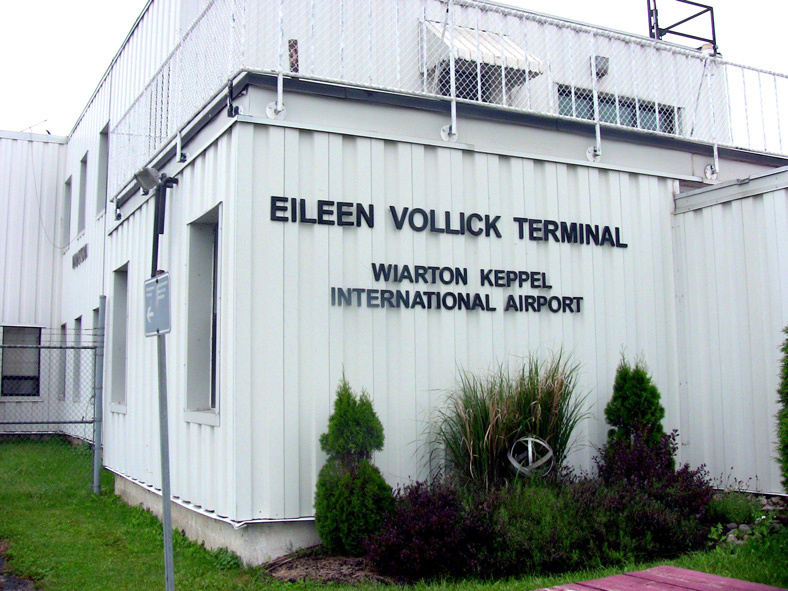 Wiarton Keppel International Airport has various office spaces for lease within the Main Terminal building.